Vine is run by founded and Director Fiona Smalley. Fiona has over 16 years of research experience. Previous to founding Vine, she spent 7 years at Claro, a qualitative agency which she was co founder and director of. Fiona loves the permission that qualitative research gives her to have access to the lives of ‘everyday’ people on a daily basis. She equally loves the challenge of interpreting and telling these consumer ‘stories’ in a way that is useful, actionable and inspiring for brands. Fiona works alongside a number of talented researchers and output specialists. Highly personable and passionate about research, Linda is a first rate moderator with a knack for getting the most out of respondents – and to the heart of objectives. A qualitative researcher since 1996, and former Research Director, Linda’s experience is diverse, encompassing media and finance with a particular focus of late on the retail sector – both grocery and high street. Heaven for a shopaholic! Kath and Fiona enjoyed working together closely for seven years at their previous venture, Claro, and both were keen to continue that relationship after starting their own ventures. Now they work together both through Vine, and through Kath’s agency Qual Street. Kath is a highly skilled and insightful researcher whose passion and enthusiasm for qualitative is still alive and kicking after over 20 years in the industry. She’s creative, thoughtful and rigorous in her approach to methodologies and analysis, and is a great asset to any study. Karen started her research career at Pegram Walters (now part of Ipsos MORI) in 1996, becoming an independent researcher in 2002. Whilst she enjoys broad sector experience, she has particular interest and expertise in retail, media & FMCG work. Experienced in talking to a range of different respondent types, her favourite methodologies are accompanied shopping trips & in-home observational work – seeing the consumer operate in their own environment. Dawn is a dedicated and enthusiastic qualitative researcher, with 15 years experience under her belt. She has experience across a range of sectors, including media, telecoms and utilities, but has a particular interest and passion in retail and FMCG (shopper motivation and behaviour studies, range reviews, packaging development, new product development and branding in particular). Jo is the type of quantitative researcher which researchers and clients alike love to work with. She quickly gets to the heart of business issues, designs bullet proof studies for the most complex of objectives, and can tell a straightforward story from involved data in plain English. 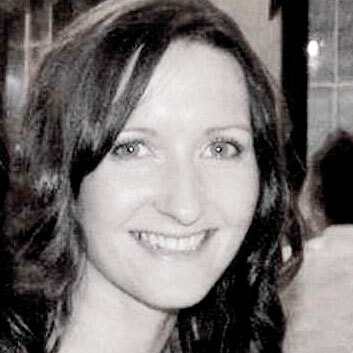 Before working freelance Jo was previously a Director at Optimisa, and before that a research buyer at Arcadia Group. To make sure the style of our outputs match up to their content, we work with a number of specialists on a project by project basis. Jeremy is an ex-qualitative researcher and a specialist at filming for research. This means he has an instinctive knowledge of what we need from research films and how to get the best from respondents, making him a dream to work with when filming for research. Davy has stacks of energy and ideas, but at the same time manages to blend into the background whilst filming. His has a varied portfolio, with filming for research recently being added to the mix. He’s also a dab hand at training, and responsible for bringing the filming and editing skills of our research team up to date. Nick is a confident and stylish designer whose ideas always stand out from the crowd. He helps us with added value outputs on projects, for those times when just powerpoint won’t have the right ongoing impact.